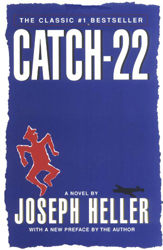 “Catch-22 is like no other novel. It has its own rationale, its own extraordinary character. It moves back and forth from hilarity to horror. It is outrageously funny and strangely affecting. It is totally original. This novel is undeniably a masterpiece. It is not only a commentary on the absurdity of war (and capitalism thrown in for good measure), not only an encapsulation of the entire 20th century Zeitgeist with all of its angst, humour, brutality, and tragedy, but a metaphor for human life itself. Absolutely brilliant with great characters, outrageously funny episodes, and a jumble of a timeline that works both to confuse and elucidate the action (how’s that for a paradox?). I loved every minute of this book, even when I cried. I listened to the audiobook version (read by Trevor White), which I would highly recommend, and I thought the novel was so fantastic that directly upon finishing it, I put it on my wishlist for a hard copy for my permanent collection. 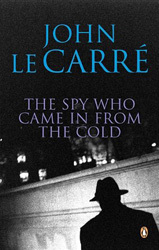 This deserves to be on the top ten list of 20th century novels for sure. But I’m not going to touch the sequel with a ten-foot pole. Some things are best left alone, and I get the feeling this is one of them. I quite enjoyed this “sensation novel”. It was extremely suspenseful and though I knew in advance what some of the plot twists were going to be, I was completely enthralled throughout. 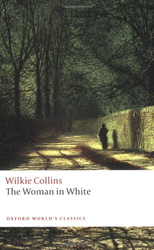 Not only did Wilkie Collins provide a wonderful escape to the nineteenth century complete with inheritances and stratagems, mad women and secret societies, mysterious foreigners (why are they always Italian?) and cruel men in power, but The Woman in White can be read with an eye to the rights of women and their position as second class citizens in every situation. On top of it all, Collins has given us the gift of Marian Halcombe, one of the strongest, most intelligent, most worthy of Victorian heroines. You are currently browsing the archives for the Infinite TBR category.